Jack Lalanne, who died at the beginning of 2011, was a fitness legend who inspired a whole generation to take up exercise and adopt a healthier lifestyle. His show, “The Jack Lalanne Show” was aired for a total of an incredible 34 years. Up until his death from pneumonia at the age of 96, Jack had a wonderful youthful appearance considering his advanced years. Jack Lalanne credited his youthful appearance to his healthy diet, large intake of fruit and vegetable juices, and facial exercises, which he practiced on a daily basis. Below is the full series of 30 Jack Lalanne facial exercise videos that have been kindly uploaded to YouTube by Swaldo2000. Each of the 30 videos contains a different exercise. Work through a them for a month to see immense improvements! 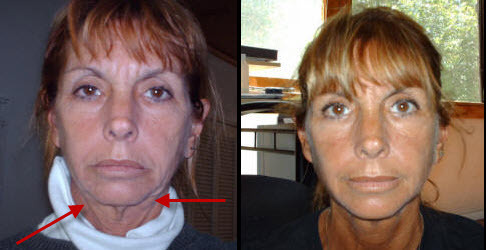 the photo on the right shows that facial exerces can reduce the appearance of sagging jowls considerably. 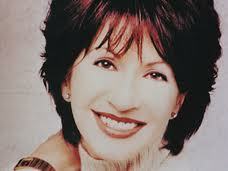 If you would like to know more about Cynthia’s Facial Magic program, see Facial Exercises by Cynthia Rowland. For those who like to perform facial exercises by following along to a video, there are several to be found on facial exercises YouTube videos. Some of the facial exercises youtube videos on YouTube are quite amusing. This page contains a selection of face exercise videos and a brief description of why you may find it useful, or why not as the case may be. In the video below, Annelise Hagan, a New York yoga instructor demonstrates some of the exercises contained in her Yoga Face exercise program. These exercises are designed to tone and lift the cheek muscles. This second video is basically an overview of Annelise Hagen’s Yoga Face program, and describes some of the benefits the program may have. It is probably only of interest to you if you are looking for more information on Hagen’s program. Click the link below to find out more about Yoga Face. This following video features Greer Childers, and from the look of it was made in the 80s. Unfortunately for Greer, it is somewhat comical, although I feel that was probably not her intention at the time. 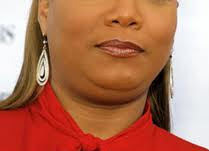 However, it must be said, that like her body, the contour of her face is youthful, well defined and muscular, so there is probably substantial merit to the face exercises she demonstrates. However, not recommend for practising in public. Another one from Greer. She also describes why it makes sense to exercise the face. In the next video, Deborah Crowley, aged 61, describes some of the new additions to herFlexEffect Facial Resistance Training program. The interesting thing about this video is seeing how youthful Deborah looks for a woman of her age. Her daughter also appears in this short video demonstrating one of the FlexEffect exercises. 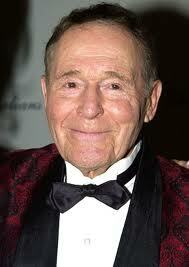 At the time of writing in 2011, it is just a few weeks since Jack Lalanne passed on at the age of 96. An almost life-long fitness fanatic, Jack was also a big fan of exercising the face. Although his youthful appearance is probably in part due to his healthful diet and all-over fitness, his well-contoured, chiselled face is a wonderful testimonial to the effectiveness of facial exercise. See Jack demonstrating face exercises in the video below.